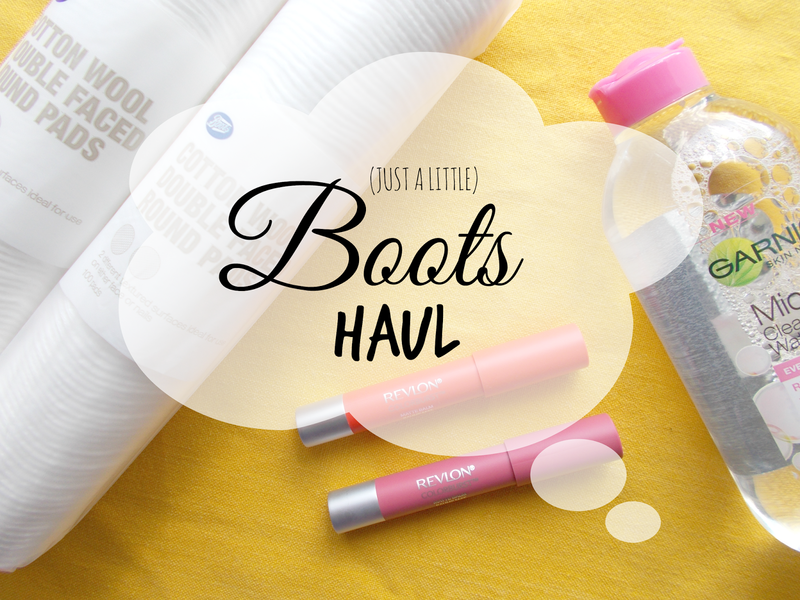 Just a little haul for you today as I recently picked up a few things in Boots! I'm trying to save up my pennies for formal so didn't go crazy, although I was tempted by the Maybelline Color Tattoos. Pink Gold grabbed me in particular but they only had the tester left which was quite disappointing! The lady in Boots informed me it's usually sold out so it must be a popular one. Let me know if you've tried it and I'd also appreciate any cream eyeshadow recommendations in the comments! I'll get the least exciting out of the way first, shall I? The cotton pads are one of my everyday essentials for removing makeup, nail polish and applying toner water, therefore I'm always running out of them! These are my usuals and happened to be on offer for buy one get one half price. In my basket they went! Next up, I finally found the Garnier Micellar Water! I still haven't used up my Softening Cleansing Lotion but if you've read my post on it, you'll know that I never seem to be able to find their Micellar water instore. Mais alors, there it was! I've only tried it out a wee bit so far but on first impressions it does seem worth the £4.99 I paid for it. It's going to last for ages and it really dissolves makeup with ease. Review coming soon if you'd like! While we're on the topic of Micellar water, I'm just wondering how do you pronounce the word 'micellar'? I pronounce the 'c' like a 'k' but I've noticed some pronounce it with a soft c. Which do you say? 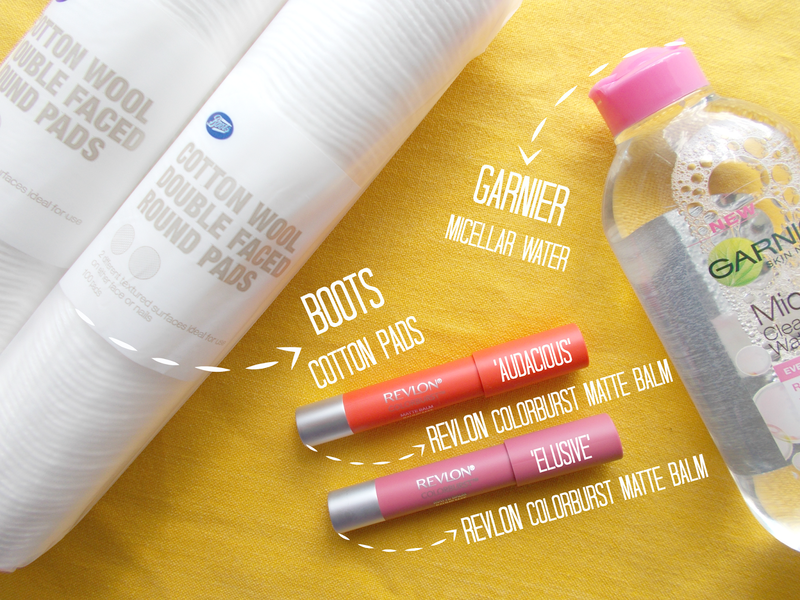 Now, onto the really exciting finds - the Revlon ColorBurst Matte Balms! I've never bought into the whole crayon craze before but when these came out I sat up and listened. I've been loving me some matte lips since trying out Makeup Revolution's Velvet Lip Lacquer and so far these haven't disappointed. 'Audacious' is a bright orangey red shade while 'Elusive' is more of a muted purple pink. I'll not go into too much detail here as I'm going to test them further and get a review up as soon as I can, but for now I will say I think it's gonna be a very positive one! Oh, and did I mention these were on offer for 2 for £10? That's a bargainous £5 each! Well that was what I bought on a recent trip to Boots! Not a lot, but I got some essentials as well as two little treats. I'm a happy bunny! Have you tried any of the products here? What's on your Boots wishlist? Psst! Notice how I had to spell 'colour' the American way twice in this post!